PACK & SEND can ship freight and parcels of all sizes to and from Hong Kong. Our comprehensive services can be tailored to fit whatever your shipment requires. 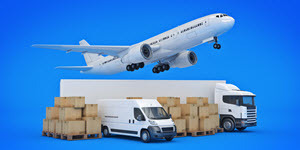 With our flexibility, we can find you a solution whether you’re a business delivering a series of goods or an individual making a one-off shipment. PACK & SEND’s experienced team can assist you with anything from excess baggage that needs to be returned home from Hong Kong or Kowloon to air or sea freight destined for Tsuen Wan or Yuen Long Kau Hui. We are Australia’s most trusted international freight carriers, and our No Limit’s policy means no job is too big, small, bulky or fragile. Contact us today and we can organise your cost effective and secure shipment to Hong Kong.